Weekend Recap & I hit 100 posts! Can’t believe I hit 100 posts! 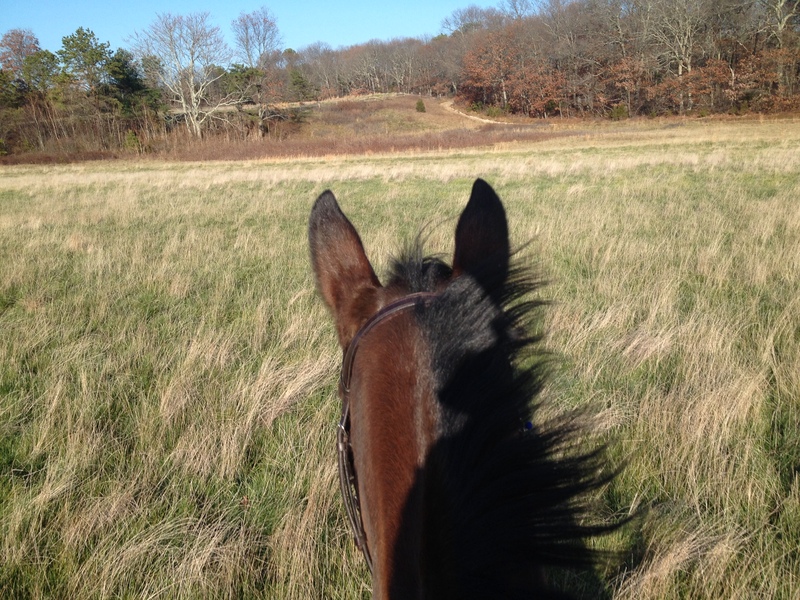 My weekend was great, mild weather, sunny skies, what more can a horse girl ask for?! 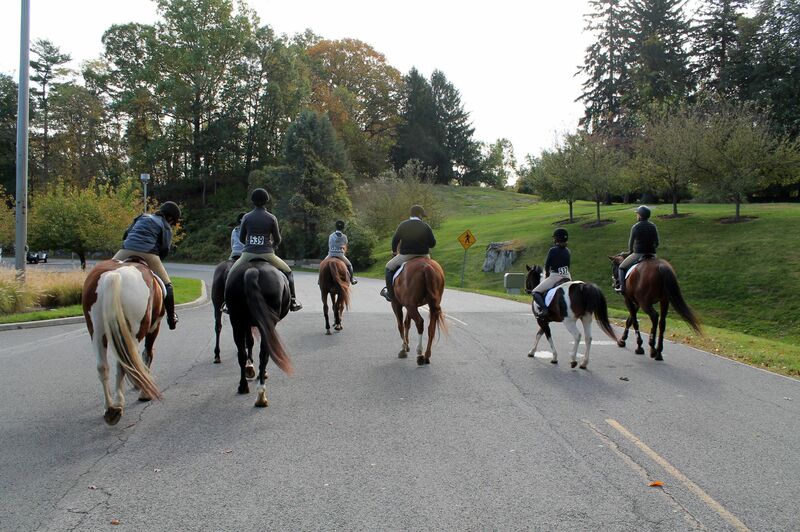 I got to trail ride Mabou on both Saturday and Sunday! 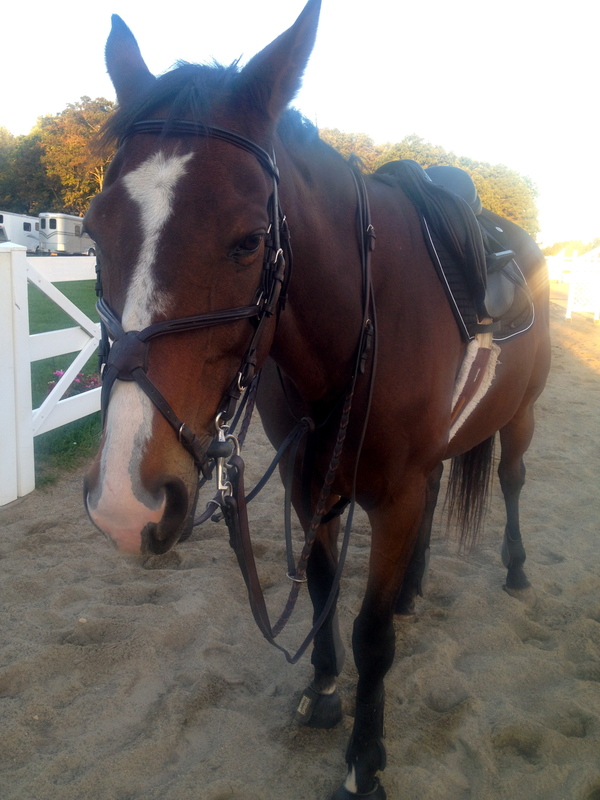 He has just been coming back from all his time off, and I decided to canter the fields Sunday. It felt sooooo nice! I was in a great mood for the entire rest of the day! Notwithstanding the fact that Mabou has been ridden maybe a total of 4 times over the past month and a half, he was his usual pleasant self. I think he was just really happy to actually get out on trail and be able to do more than walk. He was excited, but still soft and listening. He felt great through his body, the time off might have been great for him. 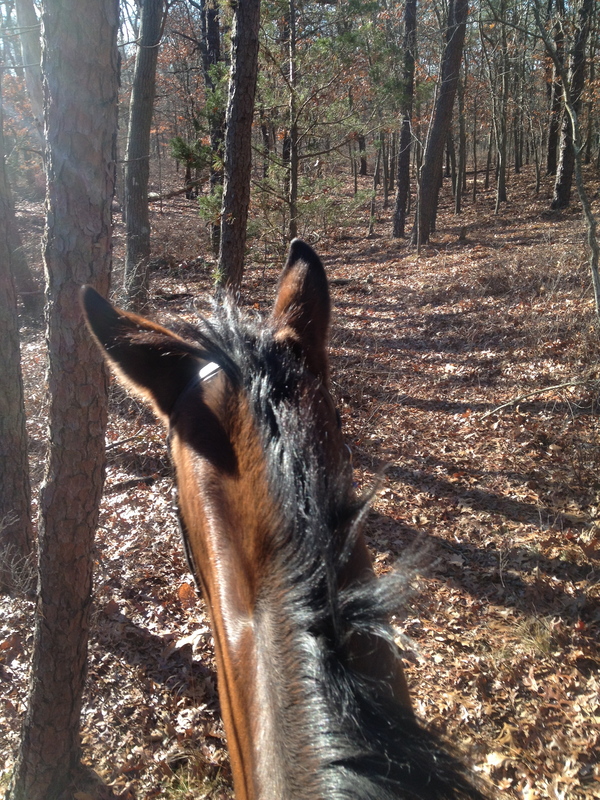 The only thing I would change was that I wish I had someone to go with, but it was just me and Mabou on both trail rides. 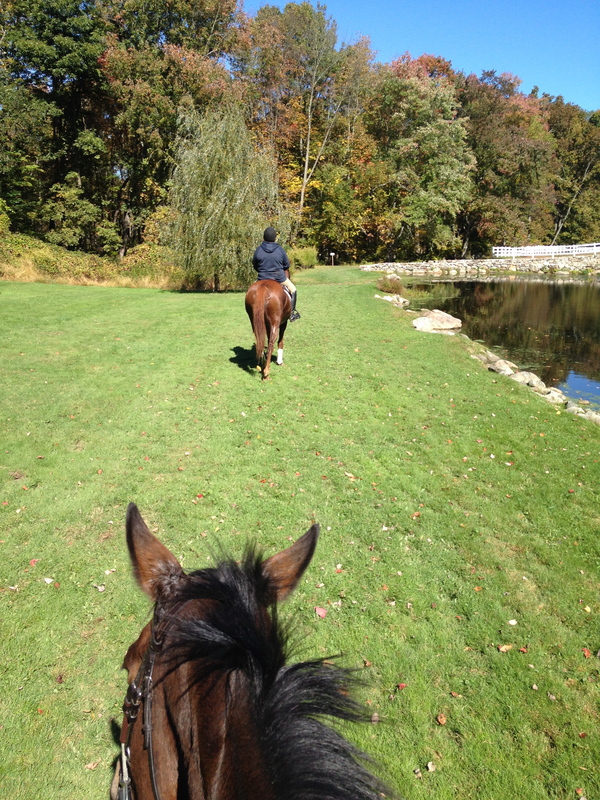 We did a nice easy canter around the big field. We were both itching to let loose and gallop, and eat up the ground with his big TB stride, but maybe next week we can do that after he has been back in work longer. Sigh it is hard being responsible. 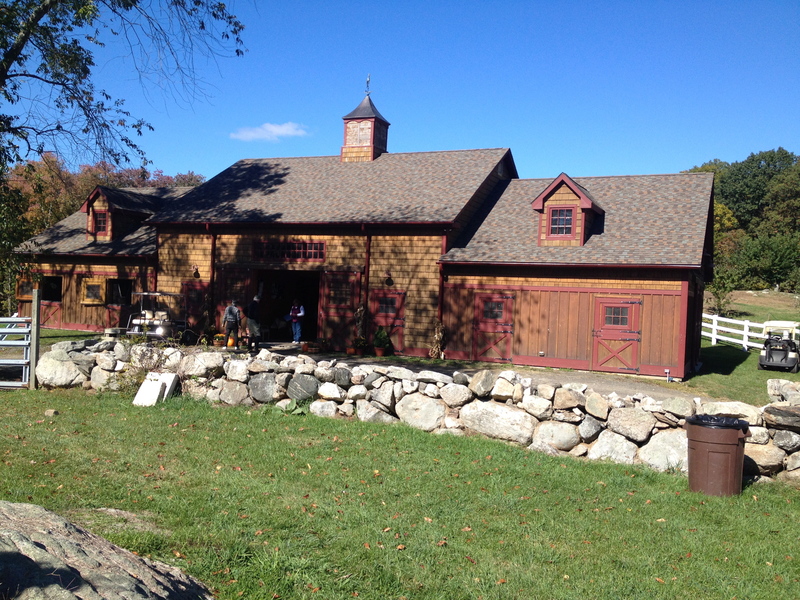 After I rode Mabou, I got on my friend’s pony, the cute one that I was riding while Mabou was having time off. He was awesome, he is such a fun little guy! Here is a video that my friend took of us! 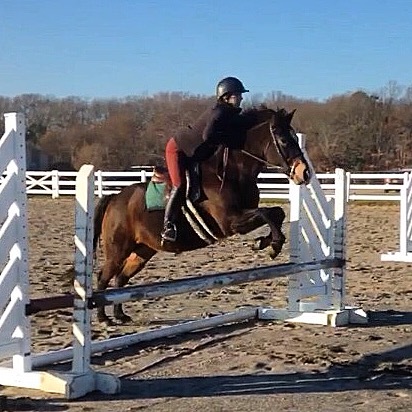 I hadn’t jumped in a little while, so it was really fun to get on him and jump around. Such a different feel from Mabou- Going from big strided narrow TB that is a very foward ride to short porky pony who is a total push ride! 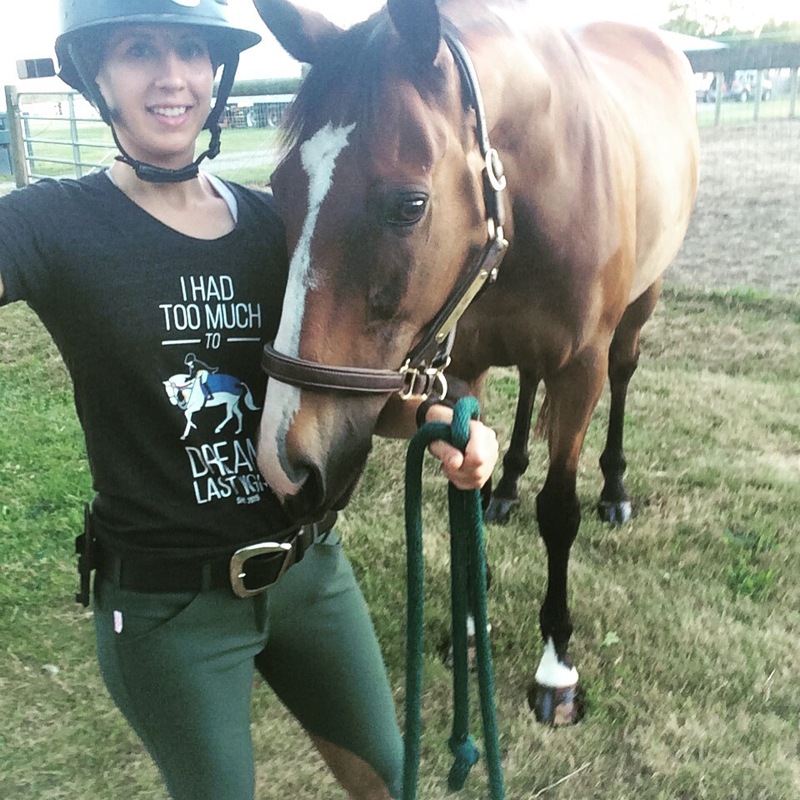 I also wore the Tailored Sportsman Redwood today! 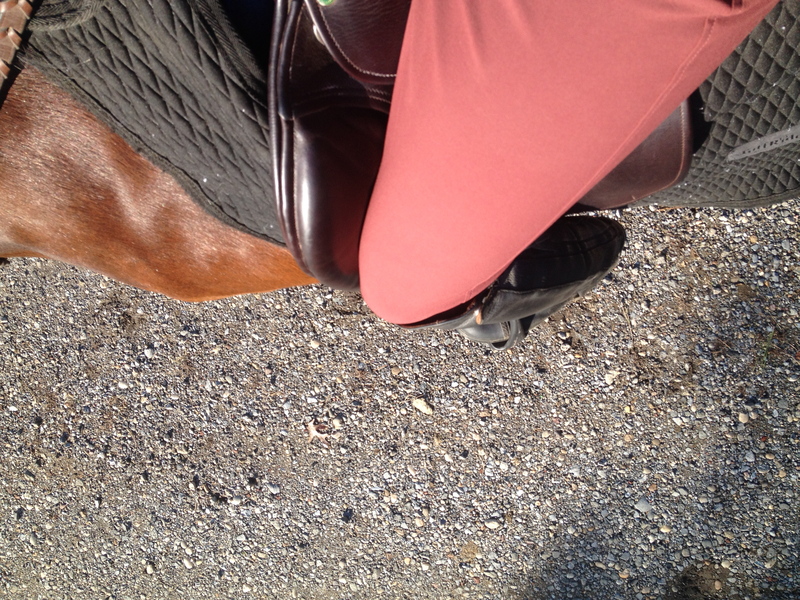 Yay for fall colored breeches! 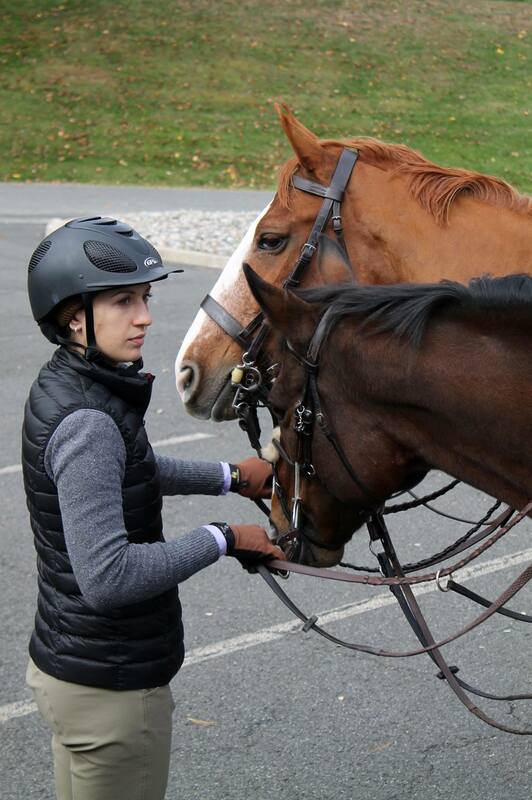 Although I can’t currently ride my horse at the moment, I am still thinking ahead to some things I would like to work on this winter. 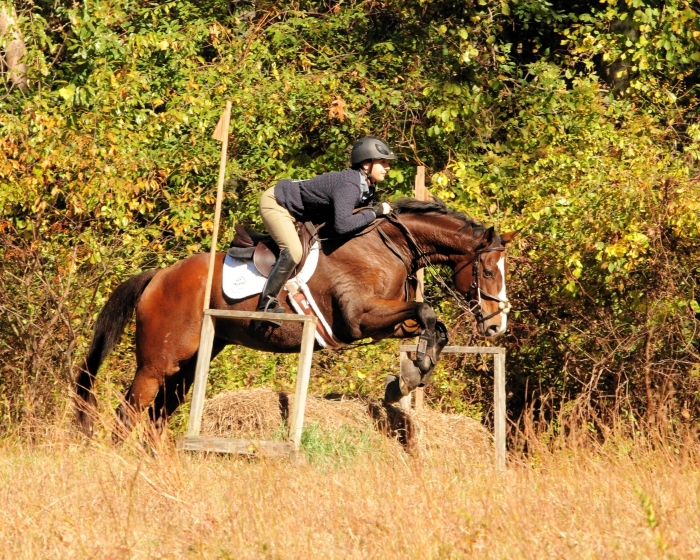 Like many people probably do, my trainer puts most of the jumps away for the winter, and we are limited to 4 or 5 jumps until spring time. 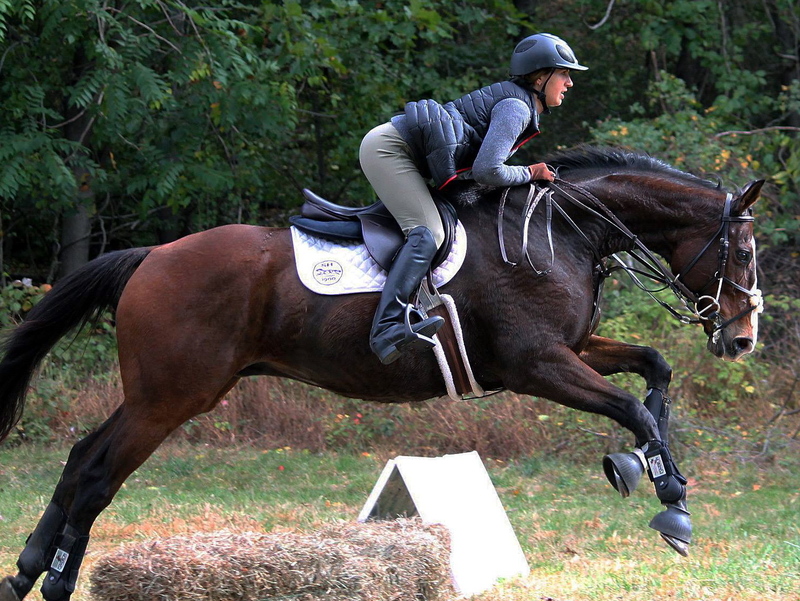 Here are a few interesting exercises that can be done during the winter with limited jump availability. 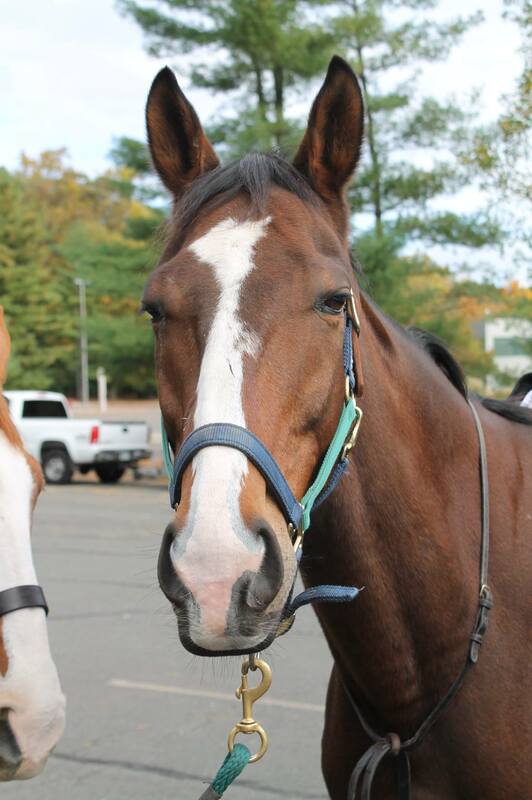 This image was originally posted on The Horse Collaborative. 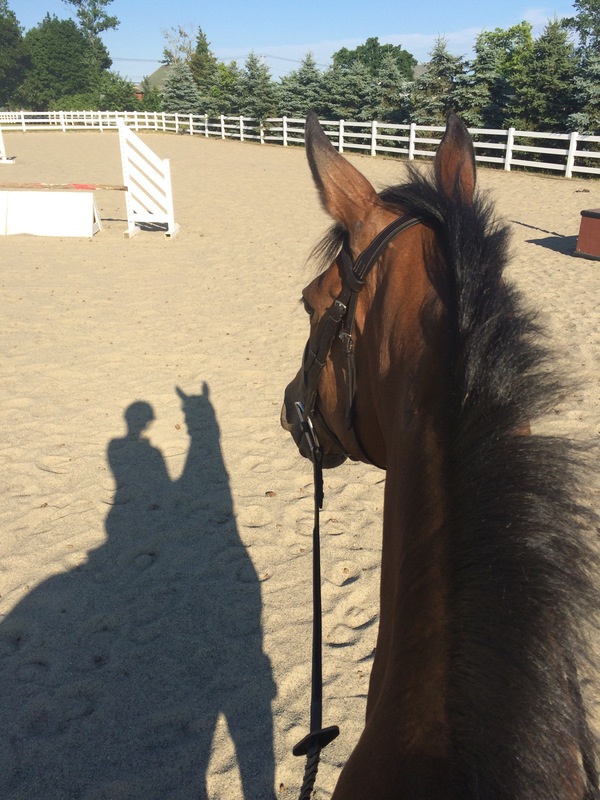 Does any one else have some good exercises to work on during the winter, whether it be jumping or flat exercises that are good for the crowded indoor? The trail itself was nice.. a little rocky in the start, but decent footing throughout with beautiful galloping fields and inviting jumps. 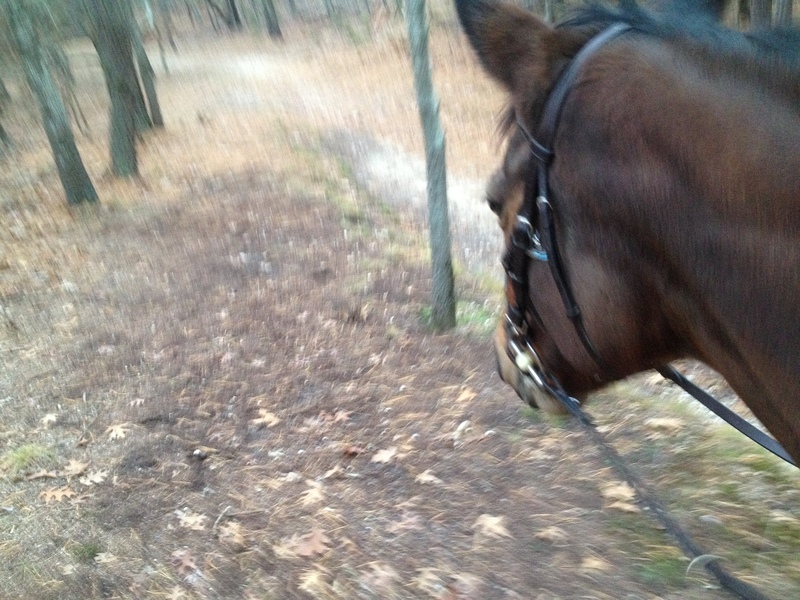 Somewhere along the way my horse threw a front shoe (UGHH). 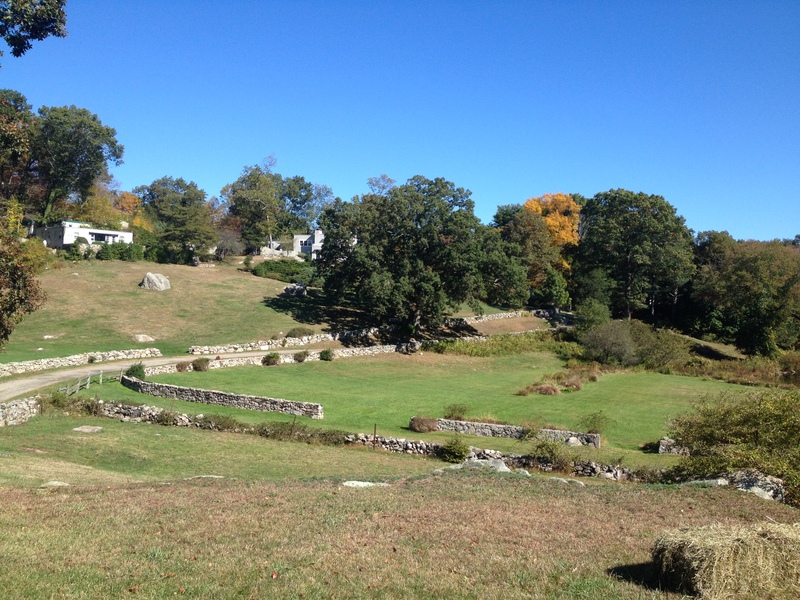 In addition to all the logs, coops, and smaller stone walls, we jumped two 3’3″-3’6″ stone walls. Jumping those made the day for me! 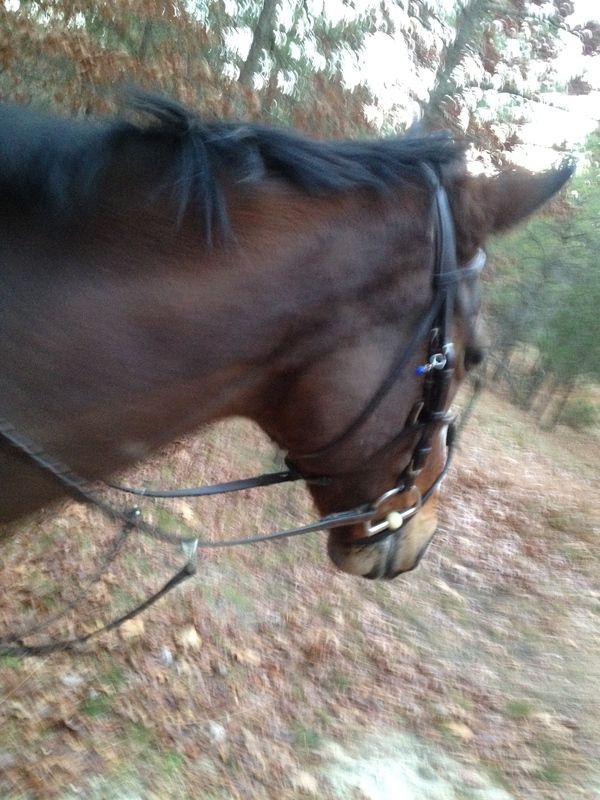 My horse felt great, he was a good boy whether leading or following. 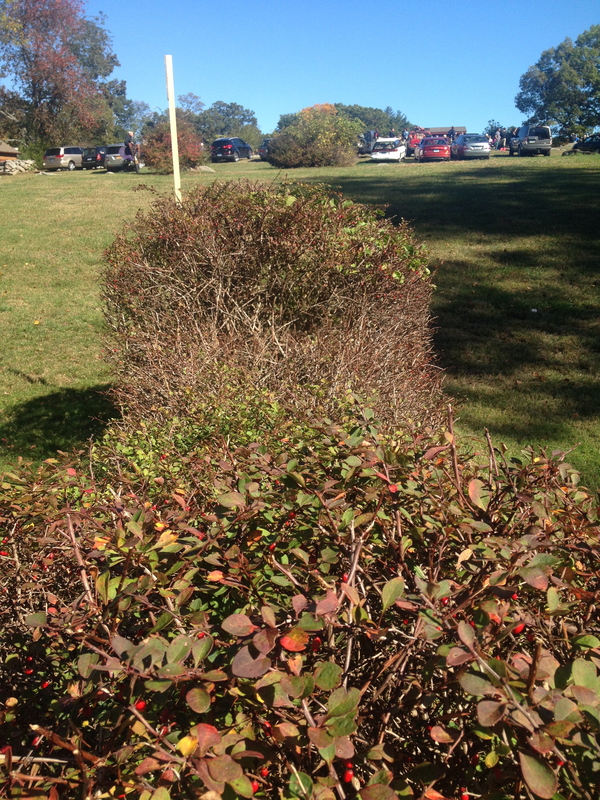 We also jumped an enormous hedge that was near the finish line. 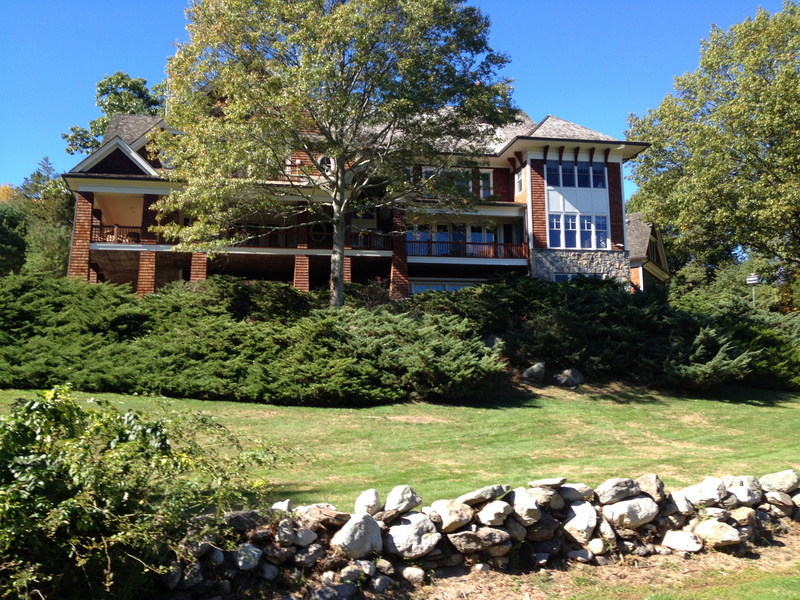 It was so big we went back on foot after the lunch just to check it out from the ground. How wide that baby was! 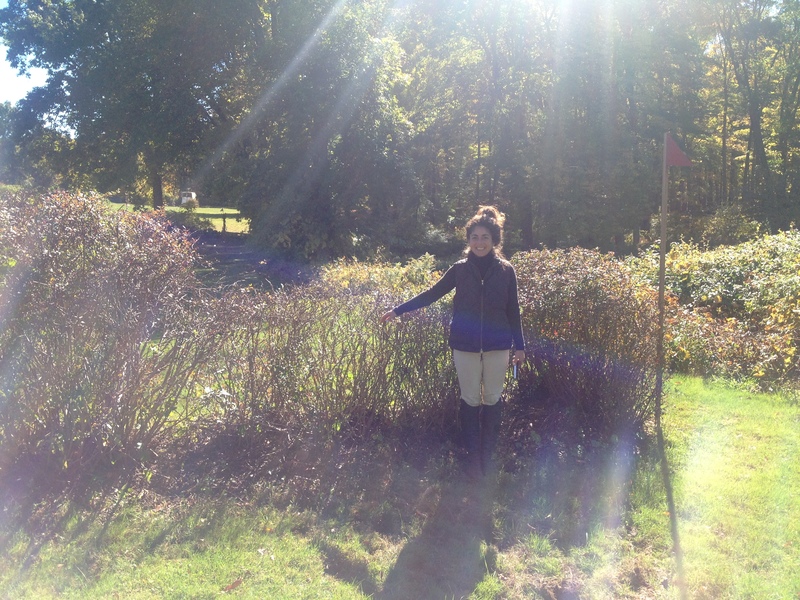 The best part is that the photographer was right at the hedge… so fingers crossed that the photo came out good! Now for the one bad part- BRIDGES!! There were so many damn bridges!! 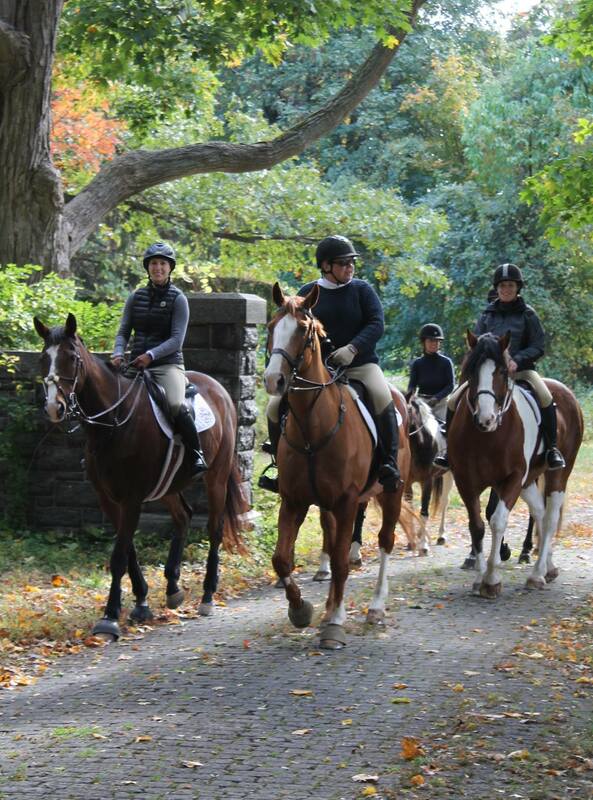 We do not have bridges anywhere we ride… so needless to say our horses were not really fans of them and the noise that the wood bridges made when they walked over them. There were at least 7-8 bridges and at each one I had to DISMOUNT off of my horse and lead him over the bridge so the other horse would follow. 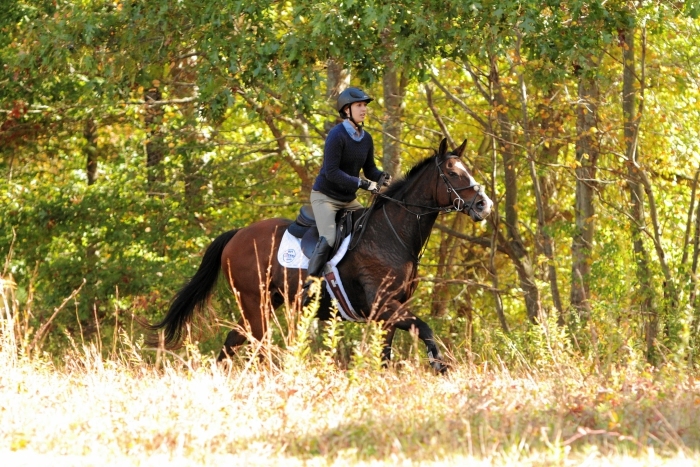 My horse would follow me through anything, as long as he saw me go through first without dying. 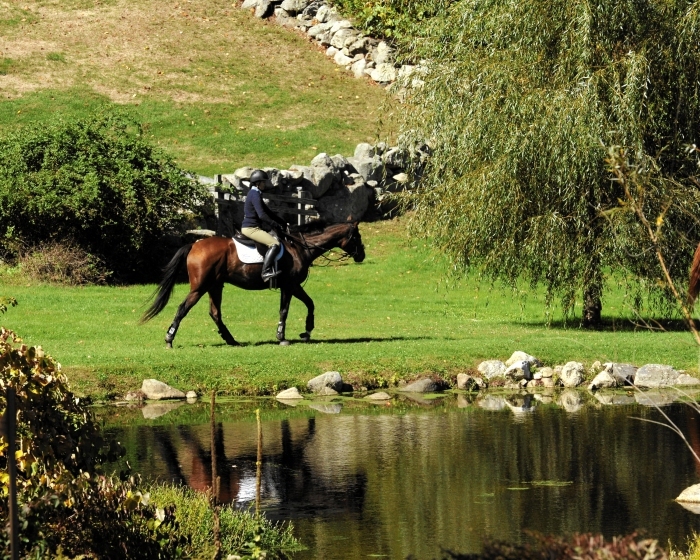 At one very long bridge over running water my teammate’s horse wouldn’t even follow Mabou over the bridge so she had to dismount as well and lead him over. Which turned out to be a blessing in disguise because while we were off the trail finding something for her to stand on to re-mount, a loose horse came barreling up the trail past us. Lucky break!!! The bridge fiascos made us come in with a total time of 1 hour 23 minutes. The optimal time was 1 hour 10 minutes. So we were not in the ribbons! 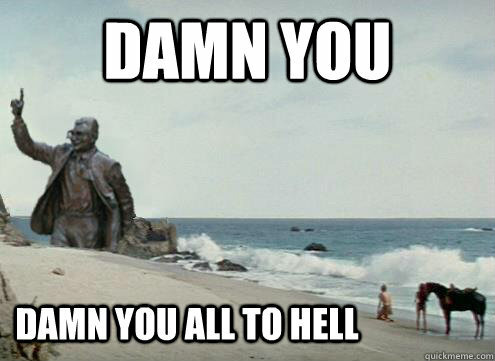 But it was a great day all the same. 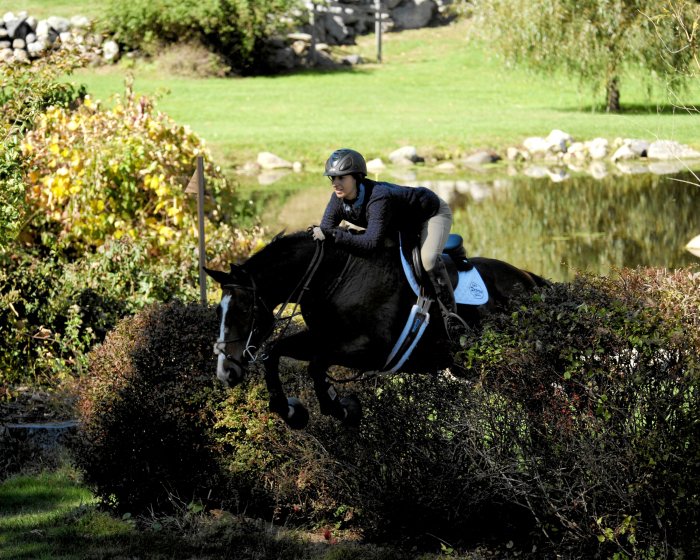 The photographer took photos at a few different jumps and I cannot wait to see them, I will post the ones I purchase! 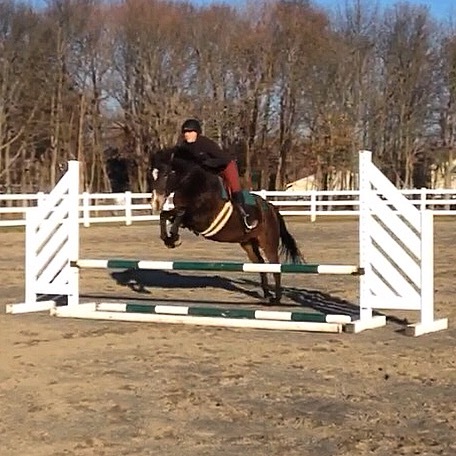 My lesson was great today! 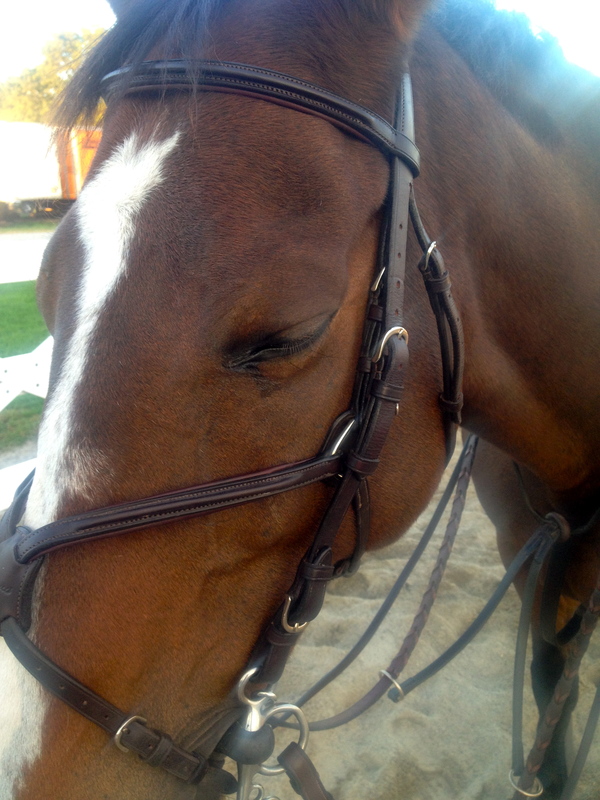 Mabou looked pretty sleepy beforehand but he certainly woke up as soon as we started jumping! 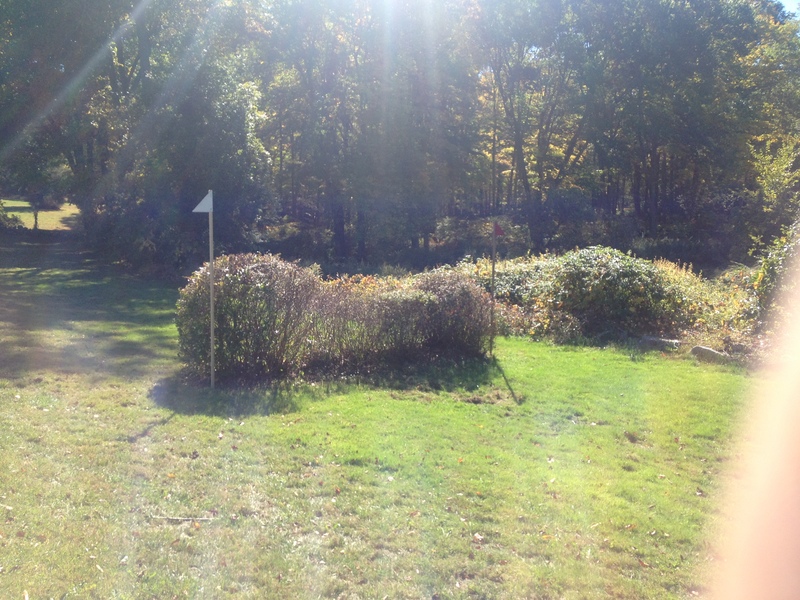 We did a few courses with the jumps set at 2’9″- 3′, and really worked on me being straight. My problem is that my right shoulder is more forward then my left… which I adamantly blame on the fact that I sit at a desk all day writing with my right arm forward and using my mouse with my right arm forward. 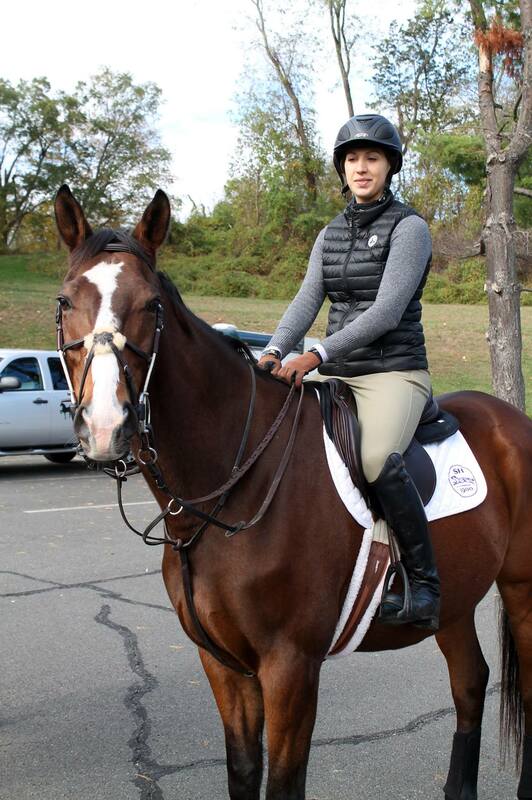 Soooo basically I need to quit my job to better my riding. His lead changes were excellent though, so at least I must have been somewhat centered for those. 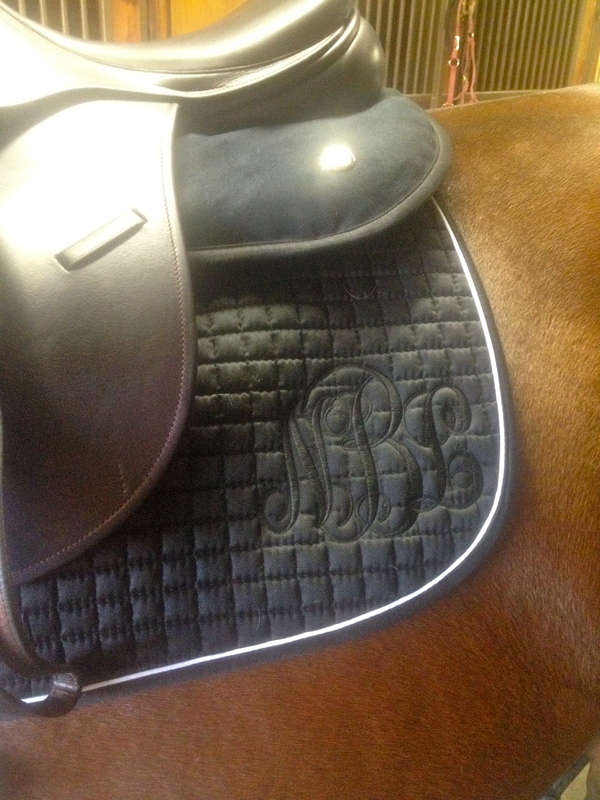 I also broke out my new black monogrammed saddle pad! Love it!! 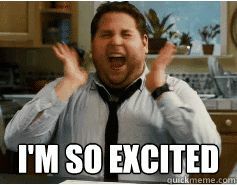 Today I ordered a helmet monogram and a horse jumping monogram decal for my Macbook and iron on monograms for my TS breeches! 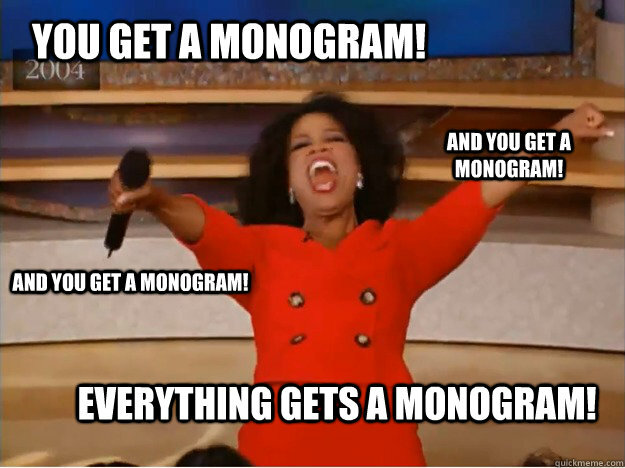 Monogram crazy today! 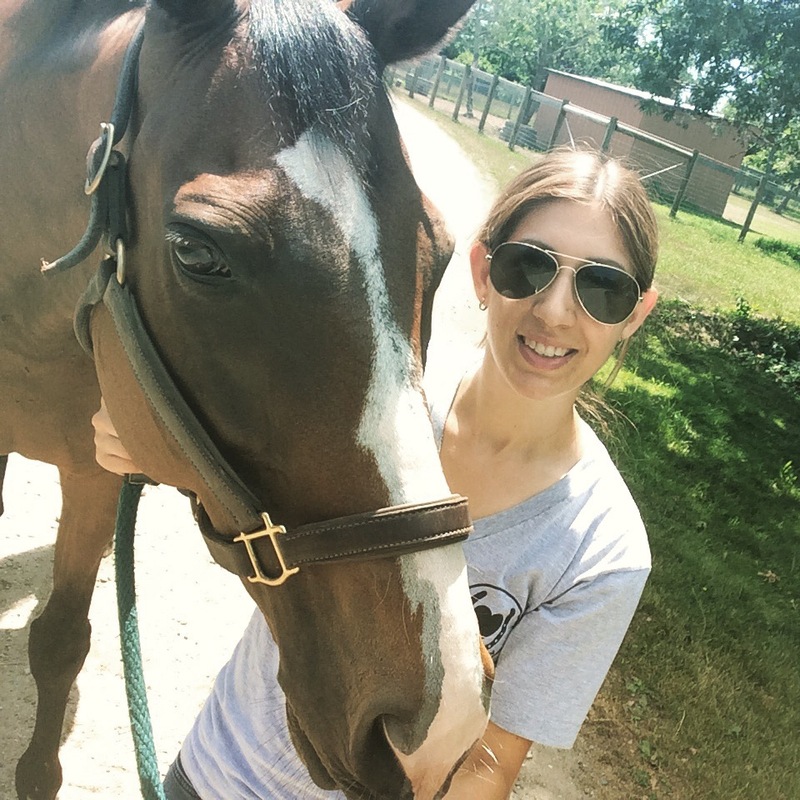 I just finished reading a new book recently, and since I am always looking for good horse books (and maybe you guys are too) I thought I should share! 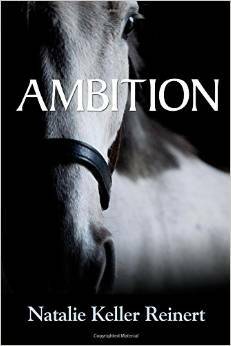 It’s called Ambition by Natalie Keller Reinert and it is about a young eventing trainer. I couldn’t put it down, the author did a great job capturing the accurate equestrian experience. I got it from Amazon for those who want to check it out!